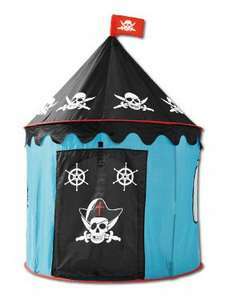 This is a must for all budding Pirates or Princesses! Thanks OP. Will be having a snoop round Lidl next week. I saw one similar in Ikea, but no Ikea's near me so this looks good. they have these in home bargains too never took much notice of the price. Don't like confined spaces. Went 10 miles to nearest Lidl & had 1 left @9.30 am so glad I didnt go any later! Went 10 miles to nearest Lidl & had 1 left @9.30 am so glad I didnt go … Went 10 miles to nearest Lidl & had 1 left @9.30 am so glad I didnt go any later! wow you have been lucky!